DOTA 2 is a Multiplayer Online Battle Arena (MOBA) game that is available on Steam as ‘Free to Play’. It a highly popular game that has been around for many years now, with professional teams playing tournaments worth millions of dollars every year. Just like any modern multiplayer games, you may have played, DOTA 2 has a rank system as its core progression system. If you’re a DOTA 2 player with ranked DOTA2 Accounts, then you’d know the struggle you would have to face in order to climb the rank ladder. Previously, it was the MMR but with the new patch in fall 2017, everyone in DOTA 2 has been assigned ranks. As such, you may have DOTA2 ranked accounts which are ranked at Archon, Crusader, or even Divine if you were of a higher, top-tier skill bracket. Once you have given your best during the calibration phase, played 10 matches and have been assigned a rank, the only way you would have left to increase your rank is by winning ranked matches. 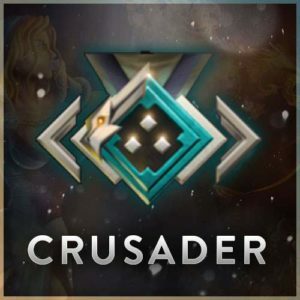 We, at Get a Smurf know that it’s not an easy task to undertake, to try and get a higher rank by starting a new account and play those ranked matches again in hopes of being calibrated higher than before. Therefore, to alleviate your problems, we offer you the chance to buy DOTA2 ranked accounts for yourself and get the rank that you deserve in a jiffy, without wasting any time. After starting a new account and having begun anew, you need to be able to slug it out in 10 ranked matches before you will be eventually assigned a new rank. 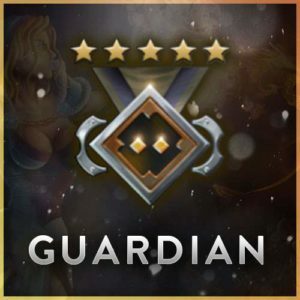 You can try your luck in this calibration phase by using high DPS heroes and having a high GPM/XPM in order to propel yourself into a high-MMR or rank bracket. 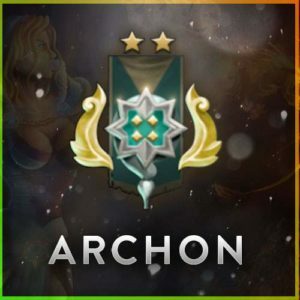 This way, you can expect to calibrate at Archon 5 which is around 3000 equivalent MMR in the game. However, if you aren’t completely satisfied with your rank and think that you deserved better, then you can always buy cheap DOTA2 ranked accounts from us. 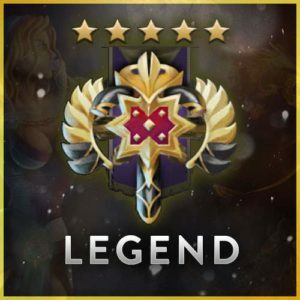 We will provide you with ranked accounts from any range of rank you’d want, whether you want to an Archon rank player, a Legend ranker, an Ancient or Divine. With these new DOTA2 ranked accounts, pretty soon you’ll be able to play with other plays having the same ranks, players with skills matching yours. Buying new DOTA2 Smurf accounts or DOTA2 ranked accounts can also save you from having to deal with trolls or toxic players that you must be knowing about in the DOTA2 community. So if you’re an SEA or EU west player, then the only way you would have to escape these murky waters of having to compete against non-serious or annoying players, is to buy cheap DOTA2 ranked accounts from us and start afresh. Our services in trading or selling new accounts are fast and reliable and you will receive the account you choose almost instantly after the payment has been done.